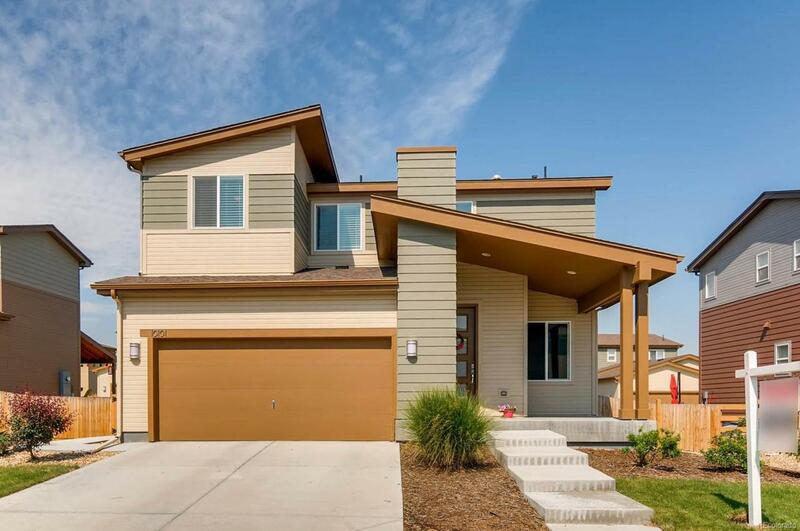 This stunning modern build in Reunion has been designed for all the convenience buyers have come to expect from new construction, with a light footprint and an open main floor layout that flows from the entryway, through the dining room and kitchen, and into the spacious, comfortable family room. The back yard is easily accessible and features a covered patio and a lush, fenced yard. Upstairs is the master suite with its own private bath and walk-in closet. The second floor also features two additional bedrooms with a second full bathroom, as well as a spacious loft and a laundry room. The attached two car garage provides plenty of storage space, and the unfinished partial basement with an egress window and bathroom rough-in provides room for additional storage or an eventual 4th bedroom with its own bath. The community features a clubhouse and pool, along with endless trails and well manicured green spaces. Showings start Saturday, 8/18.